In late December I left a company that I had spent over a year helping to build. It wasn't easy to leave but the whole experience has taught me a lot. 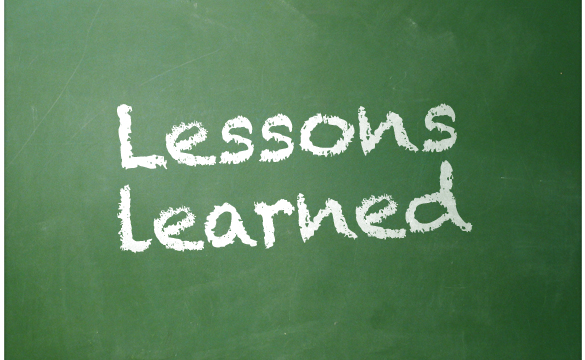 I thought I would note down some of the lessons that I have learned for the benefit of others in a similar position. Passion was probably the single biggest issue that I battled with. If truth be told I never really believed in what we were doing, ultimately that is what lead to my departure. I got involved because a friend (and an ex-boss) asked for my help and I didn't have the heart to say no. The lack of passion for the goal meant that at times I just simply didn't want to be involved. If you're passionate about something you can power through any roadblock; if you're not, it's easy to quit. Passion is everything. If you're not passionate about the mission don't waste your time. Whenever you undertake something that you've never done before you are going to make mistakes. The trick is to identify them quickly and act on what you have learned. Failure is an option; as long as you don't fail at the same thing repeatedly. Then it's not failure, it's stupidity. We didn't learn from our mistakes quickly enough and it hindered the progress of the whole business. I didn't learn from my failure of passion, and it cost me. Identify your mistakes quickly and act on them straight away. The most important thing in a business is the people. If the mix isn't right from the start you're basically screwed. Good enough doesn't cut it. You need exceptional cofounders that can pull their weight. Are you prepared to ride the startup roller-coaster with these people? Is this the right team to get the job done? This follows on from lesson #3. Make sure that you outline clear roles for everyone from the start. If you don't, things can get messy quickly. People tend to work best when you give them ownership over a particular part of the business. (If you have a small team there may be some overlap.) Over time people's roles will emerge but it's best to be clear from the get go. It's not always realistic for everyone in the team to put in the same amount of work. This is probably the single biggest issue that causes conflict between cofounders. Explicitly define the expectations of each individual in your team. If this is done from the start you can eliminate any issues emerging from the felling that someone is 'not pulling their weight'. Starting a company is difficult. It takes a lot of hard work. For this reason it can be incredibly hard to let go and accept that the business isn't working. I'm a big believer in hanging in there when times get tough, but I also think that there is a fine line between persistence and insanity. If all the signs are telling you something isn't working it's okay to abandon the original plan or admit defeat and move on. Failure is an option, as long as you learn from it. I've seen people waste days trying to justify a few hours they spent working on something in the past. Don't be afraid to admit defeat and let go. The team I was working with is continuing on with the business so I have intentionally not mentioned its name out of respect. I wish them all the best with their continued journey. I hope they prove me wrong.